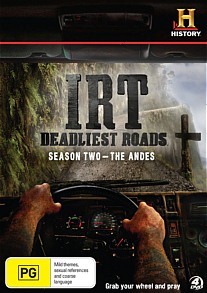 IRT Deadliest Roads Season 2 DVD Review Nonetheless, IRT Deadliest Roads Season 2 is a thrilling TV series that will force you onto the edge of your seat as these truckers drive obsolete trucks on some of the world's most dangerous roads! From the success of IRT Deadliest Roads Season 1 which saw a group of elite American and one Canadian truck drivers traverse some of the world's most deadliest roads in the Himalayas, the history channel has once again brought these truckers together again in order to tackle the Andes Mountains which can only be described as pure craziness. 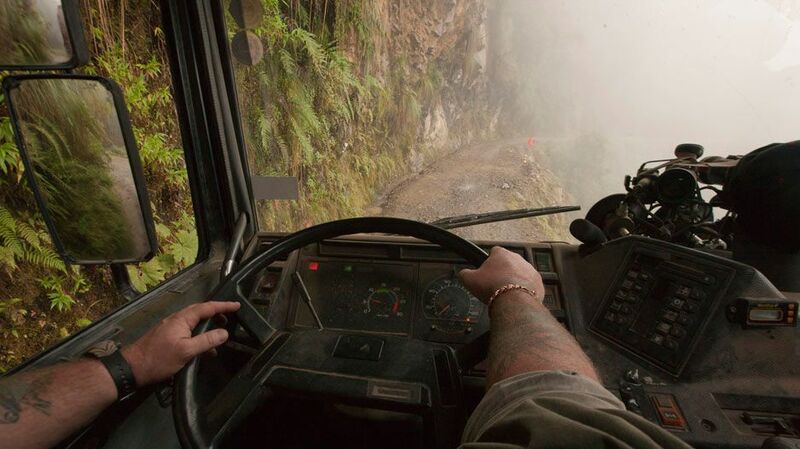 Just like India, these truckers are once again facing unsafe tiny roads with sheer drops of thousands of feet, landfalls, waterfalls and local drivers which from one false move, could mean the difference between life and death. It's basically everything you don't want on a road when driving. Welcome to Deadliest Roads Season 2! Season 2 sees the return of some familiar faces that include Lisa Kelly, Dave Redmon and Rick Yemm. However Dave and Rick decide to leave early on in the series due to the unsafe trucks that they drive and some personality clashes. Needless to say, it helps with the drama of this pseudo documentary. Joining Lisa are the two new IRT truckers, Tino Rodriguez and Tim Zickuhr, two rookie drivers who believe they are just as good as the veterans. Spotters also play a key role to these roads who assist the drivers in navigating these dangerous roads. Tino and Tim are one team, however when Dave left, Lisa was forced to drive these roads alone, until joined by veteran driver G.W. Boles which causes more tension of fan favourite, Lisa. Lastly we have Hugh Rowland, a veteran driver from the United States whose tough as nails approach and experience makes him perfect for driving on these dangerous roads. The series starts with a bang that is entitled "The Death Road" and reintroduces the viewers to some of the most dangerous roads in the world. The drivers are teamed up for support but the personality clashes are just as dangerous as the roads themselves. As the series progresses, the drivers become more accustomed to these roads, however on more than one occasion, each driver has their own run with death as they make their way up these roads to unload their cargo. Like season one, there is plenty of opportunities to learn about the drivers themselves such as Tim's overtly American personality who even joins in with the locals for some very amusing shenanigans or Lisa who sometimes look like a doe in the lights. 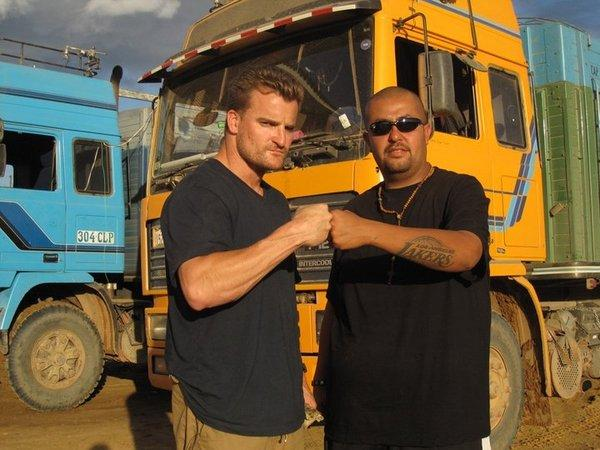 Nonetheless, IRT Deadliest Roads Season 2 is a thrilling TV series that will force you onto the edge of your seat as these truckers drive obsolete trucks on some of the world's most dangerous roads!